I have been smoking Cuban cigars for 34 years. I still remember the first Cuban I smoked, a Romeo y Julieta No. 3. The small cigar offered deep and rich flavors yet at the same time a brightness and finesse. A French wine producer gave me the cigar in 1982 when I was living in San Francisco as a young wine editor for The Wine Spectator magazine. 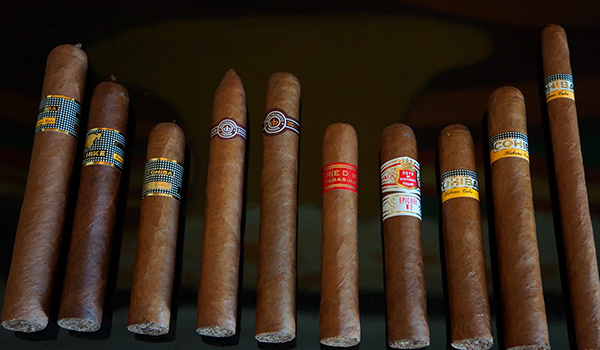 It was certainly something very different in flavor and style to the cigars I was smoking from such countries as the Dominican Republic or Honduras. I didn’t smoke a Cuban cigar for another year until I went on a business trip to the United Kingdom and France in 1983. I was lucky enough to stop in the Davidoff cigar store in London and met the owner, Edward Sahakian. He recommended a number of cigars and smoked a Cuban Davidoff Château Haut-Brion with me in his store. It was a phenomenally refined and flavorful small cigar that seemed to touch every taste bud. It’s a shame Cuban Davidoff cigars were discontinued in 1991. By the time I moved to France in 1985, I was a keen Cuban cigar smoker and enjoyed smoking them regularly in Europe while working as the European Bureau Chief of The Wine Spectator. That passion later turned to my efforts as European Editor of the magazine Cigar Aficionado and later as the CEO/Editor of JamesSuckling.com. I traveled the world writing about tobacco and cigars and reviewing cigars, but Cuban cigars were still the No. 1 in the world for me. And they still are. I have smoked thousands of cigars over the last four decades, and I still believe Cuba produces the best and greatest cigars. 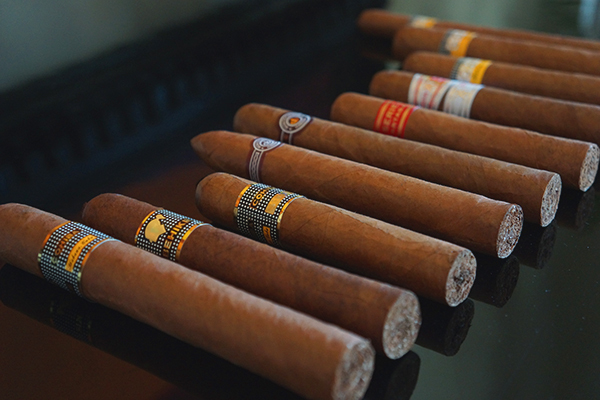 Granted, there can be many bad cigars from Cuba, whether they are poorly made and don’t draw or the tobacco has not been aged or cured properly and they have bad flavors. I have had many of those experiences. And they are incredibly disappointing and expensive considering the cigar couldn’t be smoked. Yet great Cuban cigars are incredible. They truly taste of where the come from just like great bottles of wine such as Burgundy, Bordeaux and Barolo. When you smoke a Cuban cigar, you think of the red soils of the best tobacco growing regions in Cuba such as near the towns of San Luis and San Juan y Martinez, you recall the strong men and women working in the plantations in the fields or the tobacco barns, and you feel the time and traditional of the various processes of production from fermentation to blending to rolling. Check out my award winning documentary, Cigars: The Heart and Soul of Cuba to better appreciate it all more. It’s exciting to think that after decades of Cuban cigars being the forbidden fruit that Americans can now legally smoke them. For now of course, the smoking has to be done in Cuba or if smoked elsewhere, the Cuban cigars must have been purchased while on a legal trip to the island – at least for Americans at the moment. But it’s a beginning. I am excited for Americans to legally have the opportunity to smoke Cuban cigars. Note: All cigar reviews are by James Suckling, co-publisher and editor of Havanainsider.com. He is credited as one of the world’s experts on Cuban cigars. The cigars rated in Havanainsider.com are available in key cigar shops on the island. All cigar ratings are on a 100-point scale. Prices are per cigar in CUC.